How do you plan to celebrate Valentine’s day this year? Time is running out fast, which means it’s time to start preparing yourself on how to surprise your loved ones. 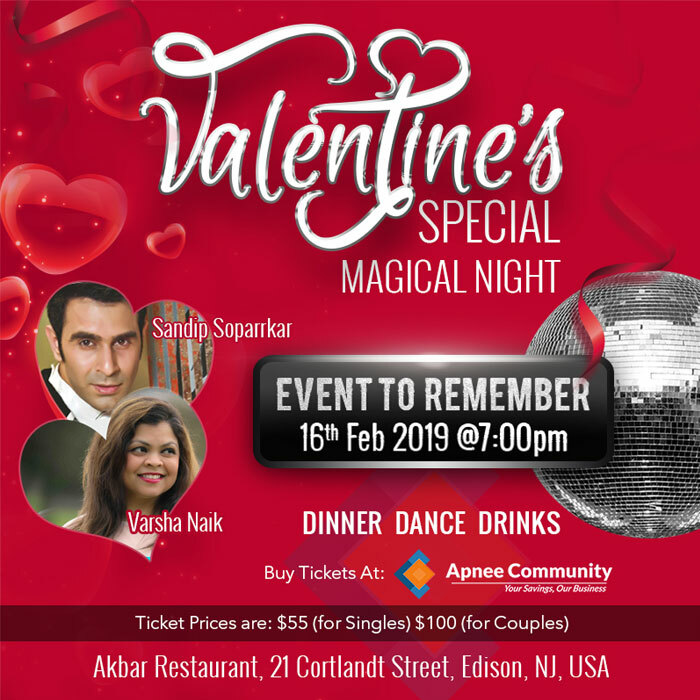 To save your time, ApneeCommunity has a perfect Valentine’s day event lined up for you in New Jersey – “Valentines Special Magical Night” organized by Varsha Naik. This upcoming event will feature one of the most famous choreographers of the Bollywood industry Sandip Soparrkar. So, what you think? 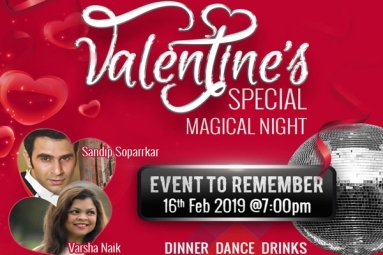 What could be better than a dance night on Valentine’s Eve? Hurry up, Grab your tickets now!